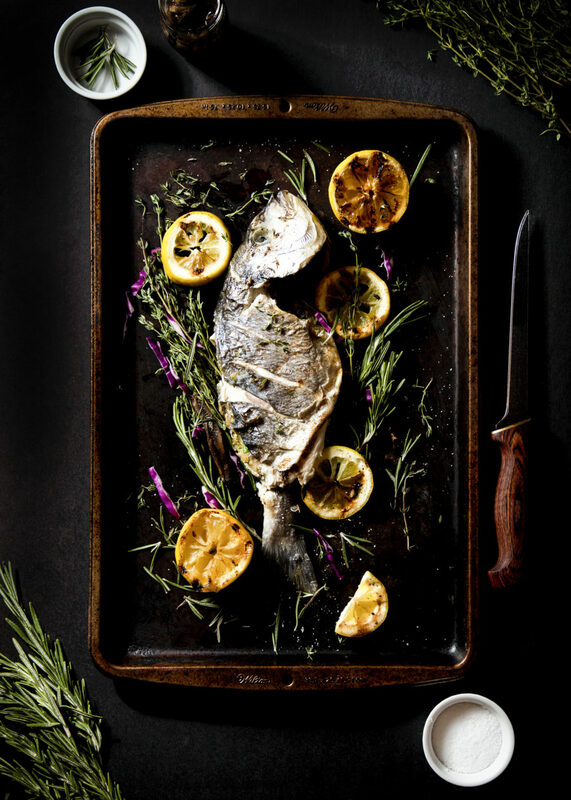 Score the flesh of the Sea Bream on a diagonal two or three times on each side, stuff the cavity with the mixture reserved in the bowl and use a toothpick or skewer to hold it shut. Liberally oil the fish and grill. Heat the grill to about 350 fahrenheit and turn it down to the lowest setting. Place the fish so they are evenly spaced on the grill and close the lid. Cook for approximately 25 minutes with the lid closed, flipping the fish once.